This Demonstration determines whether a point is inside or outside a polygon by summing the angles between adjacent vertices and the point in question. 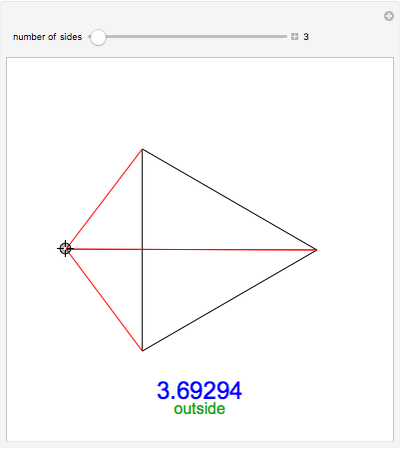 If the sum is (approximately) , the point is inside; otherwise, it is outside. 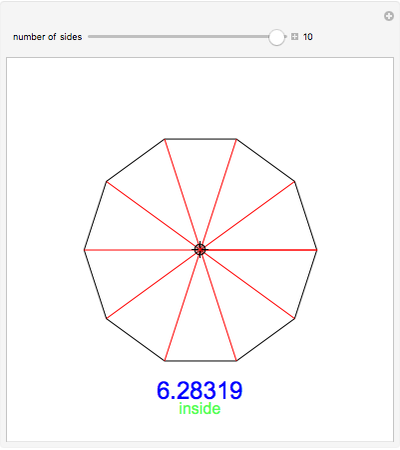 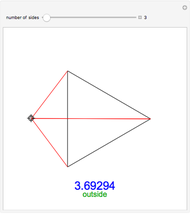 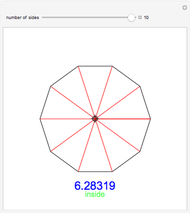 For more information, see the Wikipedia entry for Point in polygon. 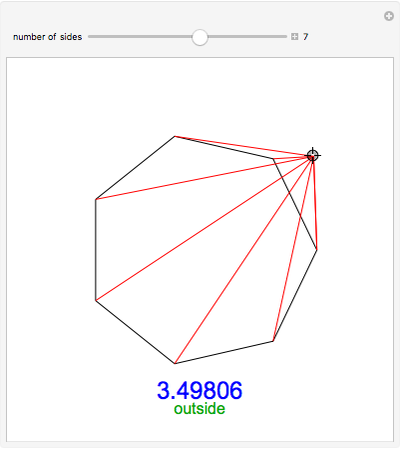 Jon Perry "Is a Point Inside or Outside a Regular Polygon?"